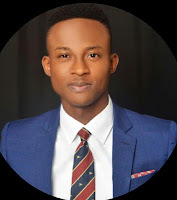 The importance of conducting a “legal health check” on corporate organizations which are the subject of corporate transactions such as mergers, acquisitions and financing cannot be overemphasized. It is critical that purchasers and lenders conduct a comprehensive legal due diligence to ensure that all potential risks and issues which may affect or shape the transaction are recognized and appropriately dealt with during the structuring and negotiation phase of the transaction. Broadly, due diligence is a risk assessment. It is the investigation and/or evaluation of an entity or person, prior to entering into an agreement or transaction. A legal due diligence is a comprehensive legal analysis conducted by legal advisors on a target or subject corporate organization. This involves a detailed investigation into the corporate structure of the company and its compliance with applicable sector laws and regulations. For example, a legal due diligence conducted on a company operating in the Nigerian insurance sector would apart from focusing on its compliance with general corporate laws, also focus on the company’s compliance with the Insurance Act and various regulations of the National Insurance Commission. The ultimate goal of the investor/financier is to understand the full legal situation of the company and issues the company is facing or would face post-transaction. Capital Markets - Transactions in the capital markets include debt and equity securities themed offerings such as issuance of bonds (Vanilla, Sukuk, Eurobonds), commercial papers (including asset backed CPs), structured notes and shares. A legal due diligence conducted on the Issuer in a bonds offering, commercial papers issuance or an initial public offering of shares is required to satisfy the regulatory authorities and prospective investors that the Issuer has the requisite capacity to issue the securities, and to reveal the Issuer’s credit-worthiness. A legal due diligence on XYZ PLC seeking to list commercial papers on the floor of the FMDQ would ask questions such as: (i) has the board/shareholders of XYZ PLC approved the offering?, (ii) are there restrictions on the corporate documents of XYZ PLC which may inhibit the offering process?, among others. Mergers & Acquisitions – A properly conducted legal due diligence on a target company reduces the likelihood of unpleasant surprises after the completion of a mergers and acquisition process. This would provide the purchaser the opportunity to gain as much background information and understanding about the target’s business. The information obtained in a legal due diligence may also serve as a platform to renegotiate the purchase price of the target’s shares or assets. The legal due diligence highlights major and minor issues bordering on corporate structure of the target, legal ownership of assets (including legal status of real properties, investments and cash-in-bank), contractual obligations of the target, current or pending litigation or disputes involving the target, regulatory or statutory breaches, financial liabilities, compliance with sector-regulators, tax status among others. A robust legal due diligence in an M&A transaction uncovers issues and acts as an early warning signal to a purchaser. For instance, if ABC PLC had agreed to purchase 80% ordinary shares of XYZ PLC for US$100 million, if after a legal due diligence it is revealed that XYZ PLC owes US$50 million to tax authorities, and another US$15 million to its employees and suppliers, ABC PLC would surely revisit the drawing board and re-evaluate its valuation of XYZ PLC, and whether it would be prudent to withdraw or continue with the transaction. Financing – A financing transaction may be structured as a bilateral, multilateral or syndicated financing, and may also be solely project based. Legal due diligence in a financing transaction is undertaken by the lender(s) to investigate the business, financial condition and creditworthiness of each relevant obligor and the terms of the underlying finance documents. A typical legal due diligence in a financing would ask questions such as: (i) are the obligors duly constituted and existing relevant laws? (ii) are there requisite corporate authorizations by the relevant obligors approving the transaction? (iii) are there current financial obligations of the obligors which the borrowers should take note of? A legal due diligence report and the issues uncovered from the report can be addressed in the structuring and transaction phase prior to closing of the transaction. The issues uncovered allows the purchaser/lender the opportunity to seek adequate contractual protection from the target/borrower in the contract negotiation process. 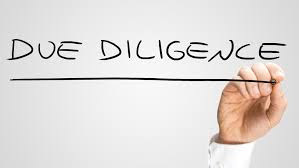 Therefore, a properly conducted legal due diligence gives the investor/financier confidence and relative peace of mind to continue with the transaction knowing that all loopholes have been plugged. Chidiebere Odoemenam is a corporate and commercial lawyer, with experience advising international and local corporates on big-ticket and high value transactions on a wide range of legal issues and on various sectors. He can be reached via email on odoemenamchidi@gmail.com and via mobile on 07031781991.